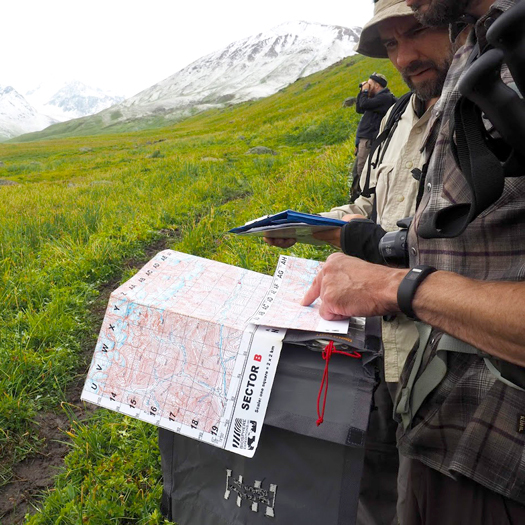 Como Zoo keeper Hans Jorgensen traveled to Kyrgyzstan to follow in the footsteps of the world’s most elusive large cat. 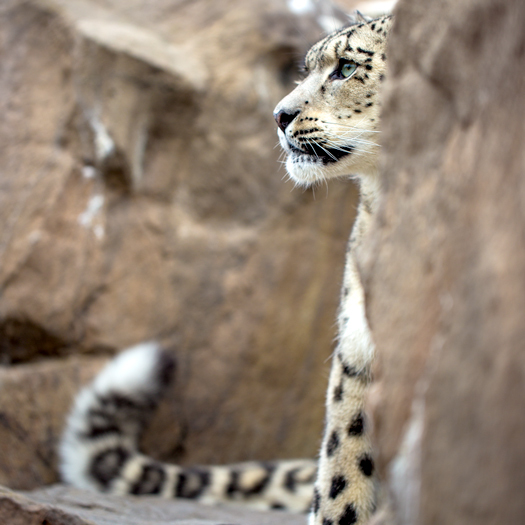 As a large cat keeper at Como Zoo, Hans Jorgensen enjoys a rare personal relationship with snow leopards Alya and Moutig, two members of one of the world’s most mysterious species. 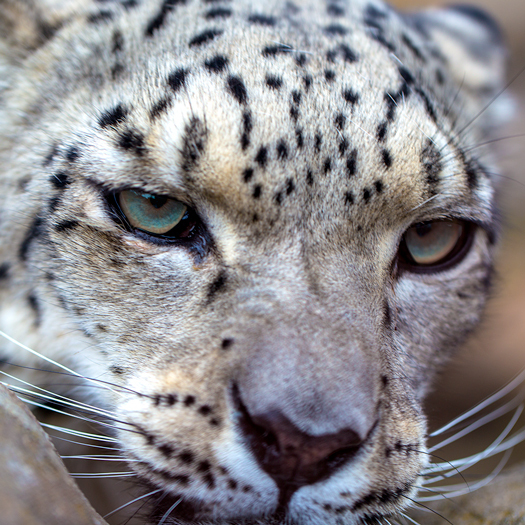 Living in high altitudes, across the rugged and inhospitable mountain ranges of the Himalayas, wild snow leopards are so rarely seen by humans they’re often called “the ghosts of the mountains.” And as their numbers dwindle, with an estimated 4,000 to 7,000 cats left in the wild, they’re also in danger of disappearing entirely. Jorgensen recently got a first-hand chance to explore the habitat challenges these majestic cats are facing thanks to Conservation Champions, the Como Friends program that empowers keepers, horticulturists and education specialists at Como to share their skills and bring home insights from conservation projects in the field. 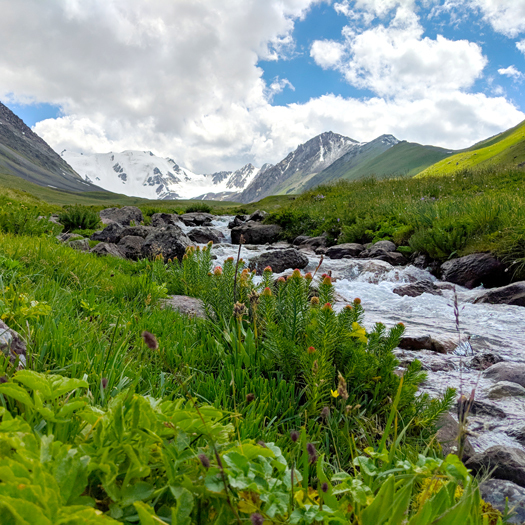 For Jorgensen, that meant spending two weeks in a rough tent camp in the remote Tien Shan mountains of Kyrgyzstan, home base for a series of demanding mountain hikes and tracking expeditions. 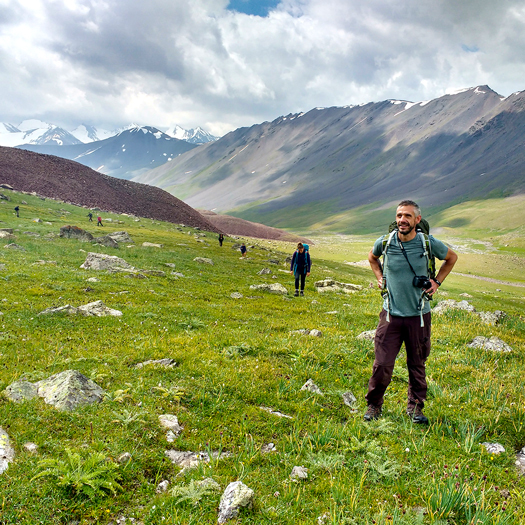 He and other volunteers spent their days searching not only for the elusive snow leopard, but for other signs of life as well. 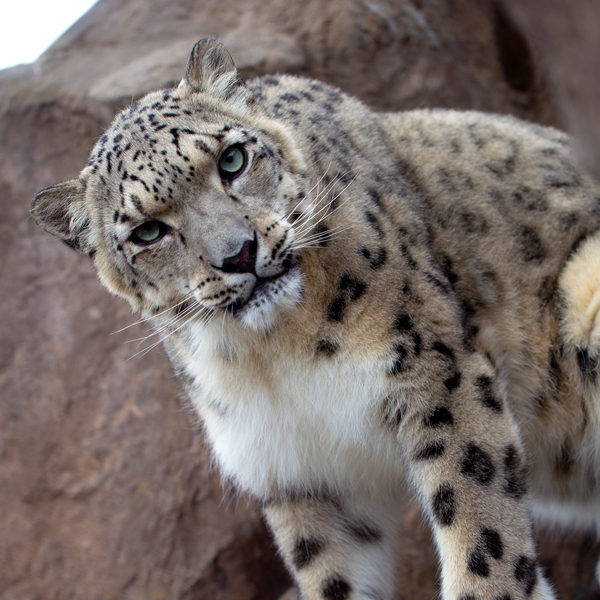 Since snow leopards range across 12 different countries, each with different priorities and conservation approaches, that’s just one of several strategies snow leopard advocates are exploring. 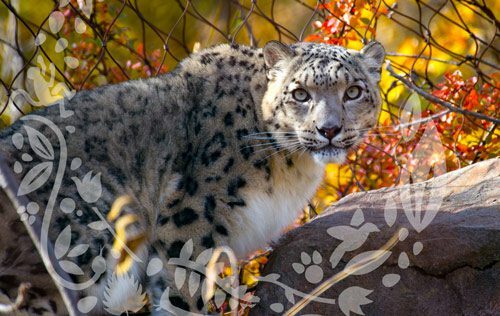 In 2017, the President of the Kyrgyz Republic invited leaders from all snow leopard range countries to endorse a plan to monitor snow leopard landscapes and maintain the integrity of their habitats by preserving connected natural corridors. 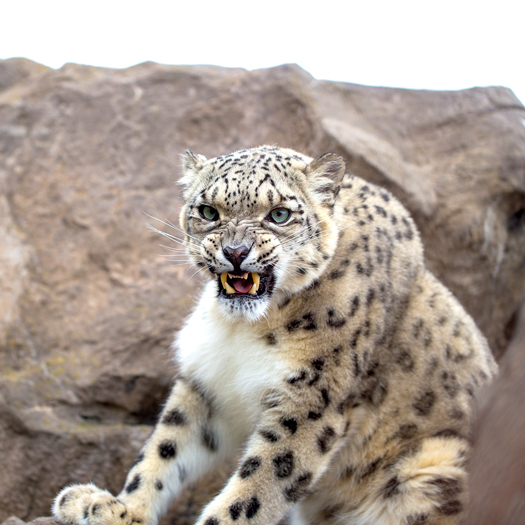 But even estimating the animals’ numbers is a challenge, says Jorgensen, who notes that it took the team from Biosphere Expeditions five years of studying the same mountainous region before capturing their first picture of a snow leopard on a camera trap just before he arrived in Kyrgyzstan. CONSERVATION CHAMPIONS: From following the footprints of snow leopards in Kyrgyzstan, to taking care of orphaned seal pups in California, several members of Como’s talented team of keepers and horticulturists have been on the go this year sharing their expertise with partner conservation groups and bringing home new insights as “Conservation Champions,” a new initiative created by Como Friends. 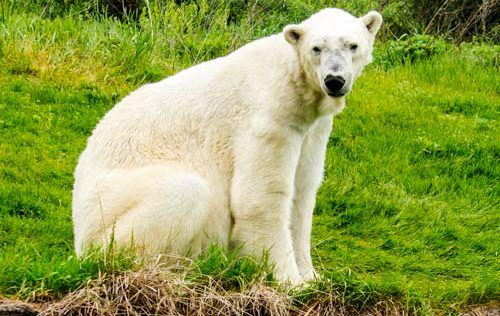 This popular new program empowers Como professionals to become active partners in conservation efforts across the U.S. and around the globe. 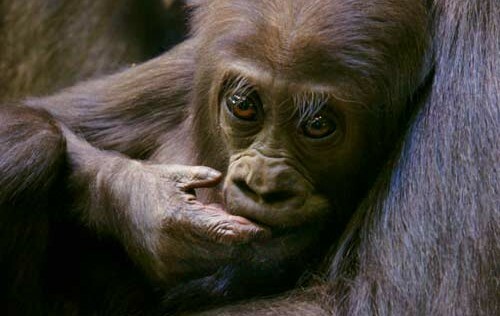 Read about other great Conservation Champions projects like Saving Penguins in South Africa and River Turtles in Texas.